When seeking dropship suppliers and wholesalers with products to resell you will find a plethora of lists and directories are available, so many that you may become confused about which are legitimate and which are not. Through our many years of involvement we have identified what we have found to be legitimate sites providing dropship services. We believe the providers below could be valuable for your business, whether established or just starting out. The Dropship Australia Directory is available to our members. 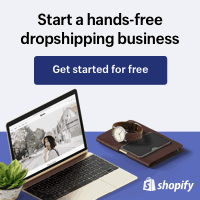 Members of Dropship Australia opt-in to receive a newsletter to be notified when more training, tools and suppliers are added. If you have not already registered as a member of Dropship Australia you can register here. The providers listed below are external sites operated by other parties. Although we have reviewed each one we do not control the content of those sites and any inquiries should be directed to the owners. Salehoo are an award winning business with resources in Australia, the USA and Asia. They launched the same year that Dropship Australia was established (2005). They provide access to dropship and wholesale suppliers. As their business grew they expanded into educating in the areas of eBay sales, providing product research tools and an easy to use but very functional e-commerce system to be used by both novice and advanced users. The Salehoo supplier directory is constantly updated, easy to search and allows the user to find a supplier and add them to a ‘Favourites’ list for future reference. The supplier directory is also integrated with the ‘Research Labs’ tool (see below) so as you research eBay to find your product niche you will also be presented with a list of suppliers who can provide the products for you business. It doesn’t matter if you are already selling successfully online or just starting out, you need to learn from others who have had success. We found the education provided by Salehoo is not confined to eBay sales but provides information about a wide range of topics including setting up your business, importing and finding product niches. Salehoo also provide a unique and easy to use online research tool called ‘Research Labs’ . Using your own keywords use this to find product niches BEFORE you start listing products. This is essential for your business because listing items on eBay, Amazon or within your own online store without researching potential sales can be costly in time and funds. Research Labs also provides finds the suppliers within the Salehoo directory who can provide products for the niche you have researched. 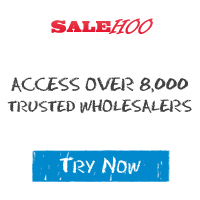 Salehoo now offers an e-commerce solution which includes access to their dropship and wholesale directory. We have extensive experience building e-commerce sites and when we saw this system we were very impressed. Not only does it provide a professional look for business, but it is also easy to use for the beginner. Like all Salehoo products the support is an A+. If you are already selling on eBay Salehoo stores can complement your business by providing a place for you to send your customers for return sales, saving you the listing costs charged at eBay. You also have an online retail outlet that will receive direct traffic from the search engines (especially if you have use the Research Labs tool to find a good product niche). In summary Salehoo Stores can provide you with all of the tools you need to sell online with built-in extras and excellent support. The price is very reasonable at as little as .88 cents per day. You don’t need to be a technical genius and your store can be up and running within minutes of subscribing. Why not try them out for yourself and let us know what you think in the forum. For more information please select a button below. A well established and extensive directory of Dropship Suppliers, Light Bulk Wholesale Suppliers and Manufacturers. Probably the most comprehensive directory with great search capabilities, resources for your business and extra bonus items and training for members. View some Product Sourcing Videos here . Get a Free Preview of how World Wide Brands can work for you when looking for suppliers for your Internet business. These are just a few of the Dropship Directories available. As we investigate more directories and find value for your money we will post them to this page. If you know of any other dropship or wholesale directories that you would like to share with the community please contact us . We would love to hear from you.